Our knowledge and passion for great wine will help to guide you towards picking the correct wine to suit your choice of meal and personal taste while ensuring that all of your guests thoroughly enjoy the wine that you have chosen. One of the toughest decisions when it comes to providing your own wine for your wedding is how much to bring. You need to ensure that you have an ample supply to ensure a constant flow to your guests and so that you don’t run out before the end of the evening while also being careful that you are not left with too many unused bottles at the end of the day. We also offer a discount for wedding orders to ensure that you get fantastic wines at a great price. At Wines Direct we have years of experience in looking after the wine for happy couples big day and can ensure that you have the peace of mind in knowing that you have exactly what you require. We source all of our wines personally from small, independent producers who have an emphasis on producing high quality wine in small, handmade batches. None of our wines will be found on supermarket or off-licence shelves, giving you something unique and handpicked for your special day. 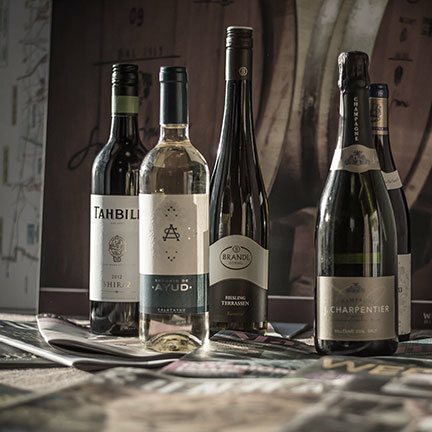 We have a very strict selection process when it comes to choosing wines for our range, so you are guaranteed outstanding quality in your glass. We understand that it can be very difficult to have confidence in the wines that you will be drinking at your wedding without having tried them first. 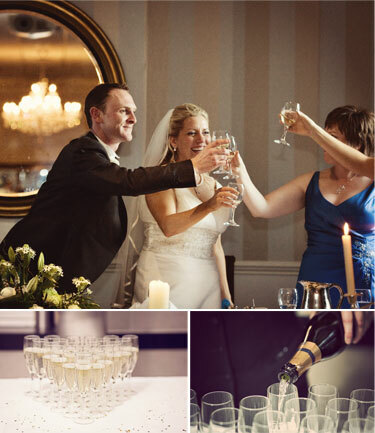 We enjoy nothing more at Wines Direct than tasting our wines with people and would be delighted to arrange to taste a range of wines with you that we feel would enhance your wedding day based upon your preferences and requirements. We would love to arrange a tasting for you and welcome you to our showroom in Mullingar to sample some of our recommendations. You would be more than welcome to bring along parents or a couple of friends to taste the wines with you in order to increase your confidence in your choices. If you’re not in a position to visit us in Mullingar for a personalized tasting, then you can of course purchase some of our suggestions, which we can send to you via courier to sample at your leisure. Of course we will even give you the wedding discount on these bottles! We deliver nationwide and to save you the hassle of having to collect your wine and deliver it to your reception venue, we will delivery it free of charge for you to make life easier. (Free delivery within Republic of Ireland only). While it is definitely better to be cautious and ensure that you have plenty of wine to get through the day, we don’t want you to be left with a lot of wine that has not been opened. We offer a ‘sale or return’ facility, so any wine that you have left over and do not want to keep, we will happily take back from you after the wedding, so you only need pay for the bottles that are used. I just wanted to drop you a line to say thanks very much for all your help, advice and assistance before the wedding. The Chezelles Sauvignon Blanc was a definite crowd pleaser. I had so many people coming up to me and asking me for the name and where I got it. It will definitely be one I go with next time I'm down. Also thanks for taking the pressure off and arranging the delivery and ensuring the wines arrived safe and sound in the hotel. Knowing that it was been taken care of in such a professional manner meant I didn't think or worry about it once. Again Thanks for everything. Call us on 1890 579 579, email us at sales@winesdirect.ie or come and talk to us personally. We know getting to visit us isn’t always possible. So to help you decide which wines you’d like for your big day, we’ve compiled two cases featuring our bestselling wedding wines, both with 15% off PLUS free delivery. Everyone’s tastes are different and for this reason we’ve included as wide a range of wines as possible. Each case includes 3 whites and 3 reds, and all are proven hits at nuptials big and small around Ireland.